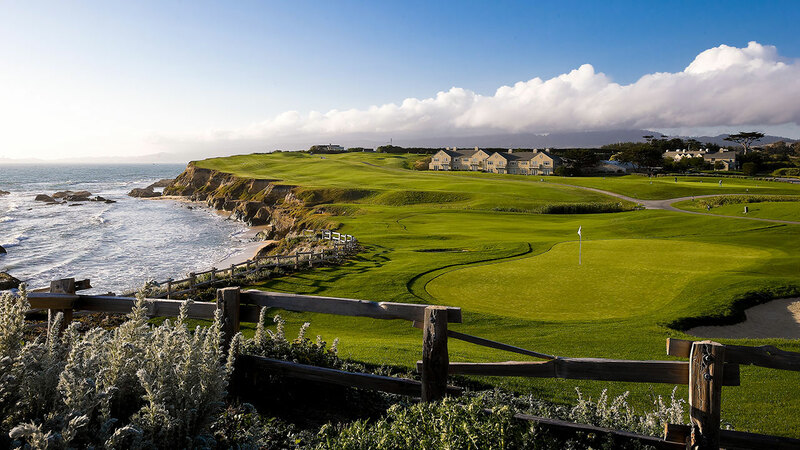 Amidst the vibrant beauty of the California Coast, Half Moon Bay Golf Links hosts two championship courses. The Old Course, designed by Arnold Palmer in 1973, weaves through parkland, finishing on one of the highest ranked golf holes in the world. Joe DiMaggio was often seen playing the Old with Pro Emeritus Moon Mullins, who’s also teed up alongside entertainment legends Willie Mays, Evel Knievel, Jackie Gleason, and Bob Hope. The Ocean Course, a true links layout with an authentic Scottish soul, is perched on a bluff overlooking an awe-inspiring stretch of the Pacific.